Provides complete protection of the ACL for athletes who don’t want to lose speed by weighing themselves down with a heavy brace. 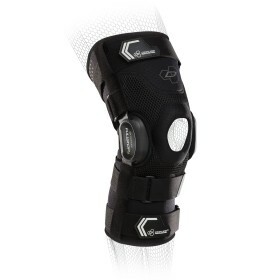 The DonJoy FULLFORCE knee brace is for protecting the ligaments of the knee, especially the ACL, from injury. The FULLFORCE is most commonly worn by competitive athletes who suffer from any of these conditions, can't afford to be weighed down by a bulky brace, and are not trying to prevent contact or impact-related injuries (like a football lineman might want to do). 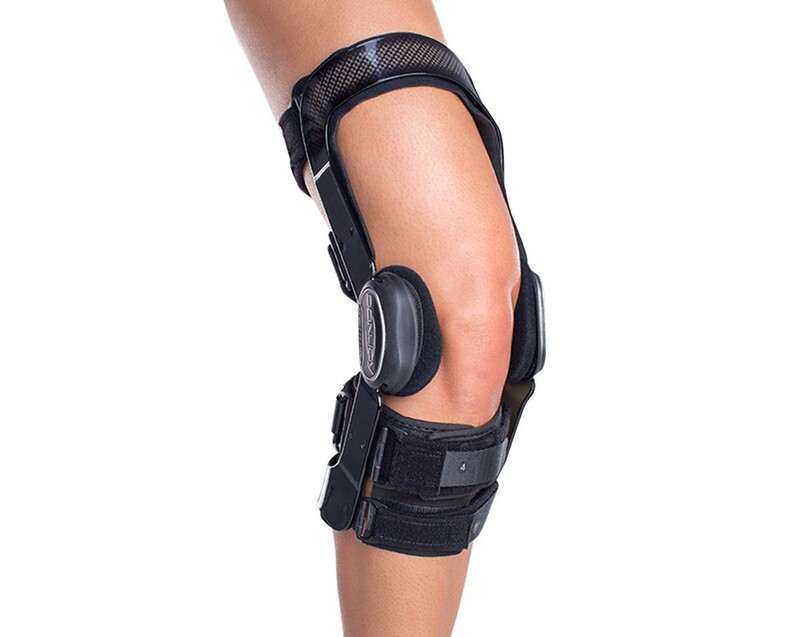 This knee brace is designed to provide complete protection of the knee for competitive athletes who are at the highest risk for injuring their ACL. Using DonJoy's 4-Points-of-Leverage system and the FourcePoint hinge, knee instabilities are continually corrected. 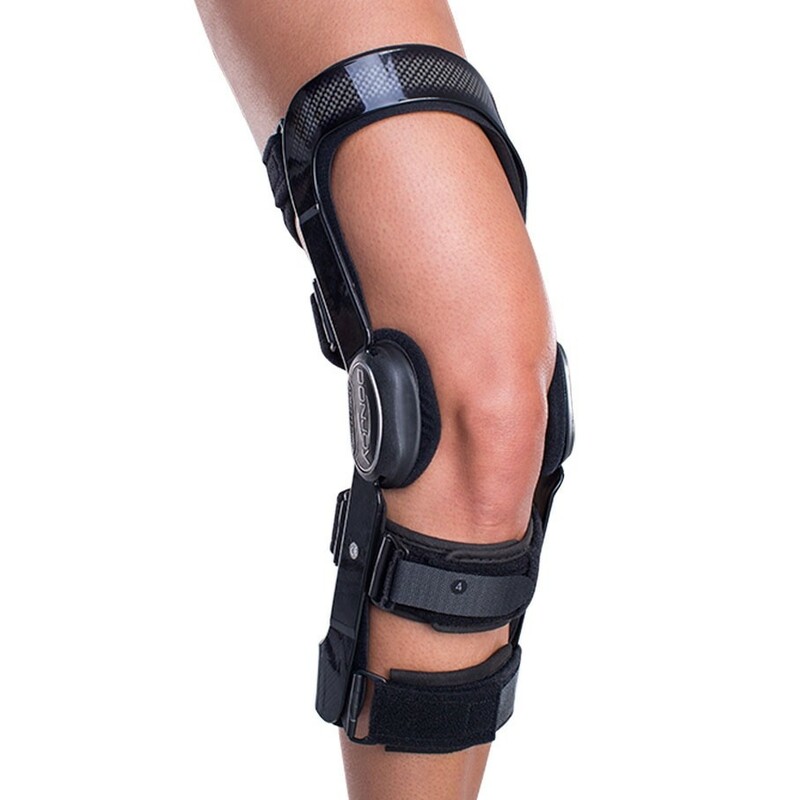 This means an injury doesn't have to occur for this brace to work-it significantly decreases your chance of getting hurt in the first place! Fourcepoint Hinge Technology to help reduce the amount of time the knee is in an "at-risk position"
Had some trouble getting it to fit, but once on the leg it was great to walk without pain. Even walking on our lawn the leg doesn't notice how rough it is and the knee does not complain either when trying to walk through 16 inches of snow. Now I can just step into the brace and pull the straps and off I go. Thanks so much for these great braces! Pros: Some info about what to use to bend the metal for calf and thigh would be very helpful. This brace fits me perfectly. I wear it for extended periods of time and not only for sport activities. My ACL is torn and I am not yet ready for surgery. This brace keeps my knee supported and I am grateful. No need to pay twice the price for a custom brace. It fits properly on my knee. I m feeling confident while playing volleyball again. Does not hinder my movement. Will definitely recommend in case of ACL deficiency and unstable knee joint. It's a God send if it fits. It is a nice design but lacks lateral adjustment. If your leg is perfectly straight then it is a God send. My knee if slightly off to one side and swollen due to the damage it has taken. So my knee size called for size large yet my calf and thigh called for medium. It was extremely uncomfortable for me and caused more pain then I had to begin with. It would be nice to have a place to try it on and have a representative there to help guide you in the right direction. If it works for you then great. I am very sad that it fit me badly. I had such high hopes. I can only say get the brace and try it out it will either work and your life will be much better off or it will not fit and you will be no worse off then before. It is nicely built unit. Pros: Very well built. Seems that the lateral support is exactlly what is needed to prevent any further damage. Cons: None. If it helps in anyway it is a win win. Excellent fit. After a full month of use, it still fits like the first day received. Tore my ACL and Meniscus while playing recreational hockey. Unfortunately, getting a consultation for reconstructive surgery where I live can have a wait time of 6 months to 2 years! After three months of not being able to play hockey, I decided to purchase this brace based on the brace advisory program they offer on this site. 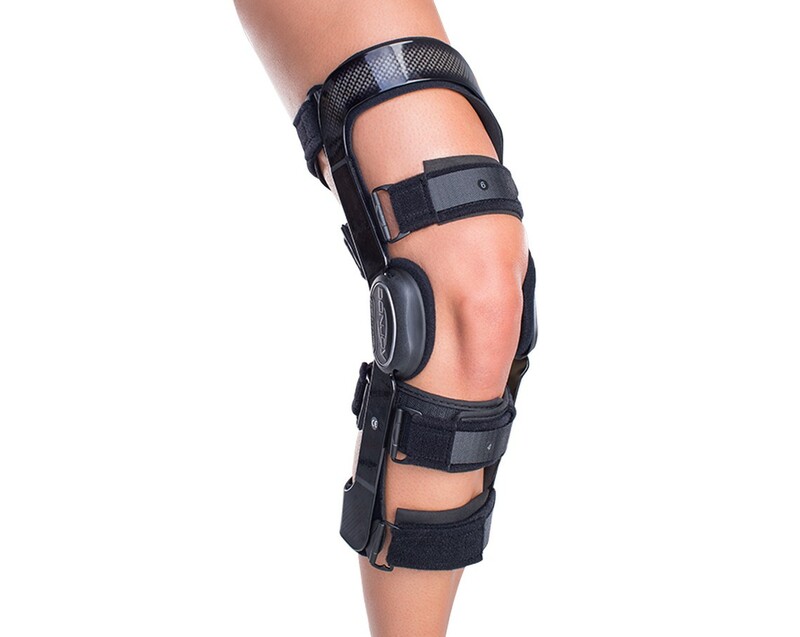 If you are in a similar situation as me, BUY THIS BRACE! 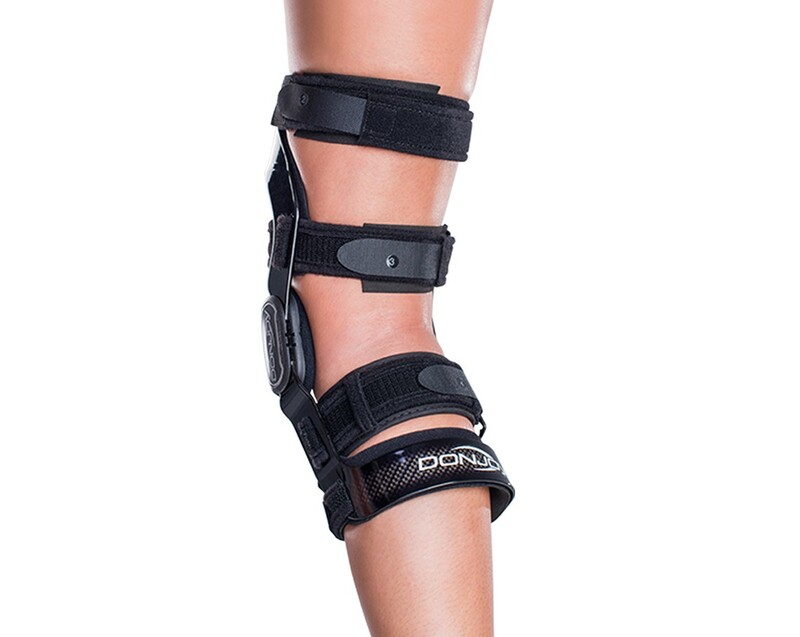 The brace itself is super comfortable, lightweight and easy to use. Absolutely zero pain when I got back on the ice! This is the first time I am using a brace and couldn't be happier. The only issue I had with this brace was getting my shin guard to stay snug since the brace does add a bit of girth to your knee area but after a few adjustments, I got everything to fit eventually. I normally don't write reviews but this is a great brace. 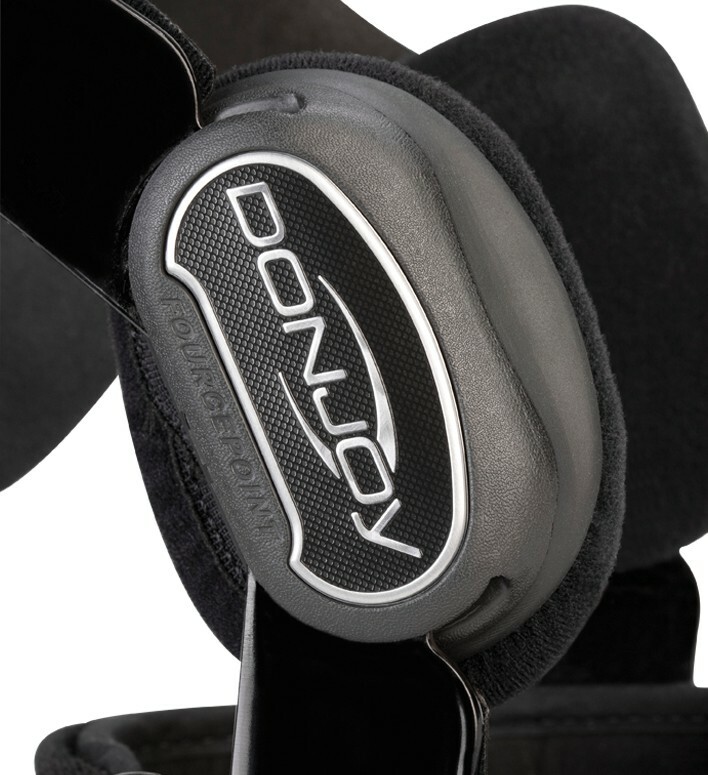 I tried the DonJoy Playmaker II Brace but it pinched the back of my knee and the patella donut was uncomfortable so I sent it back and ordered the Full Force since the front and back of the brace are open. I don't have an ACL in my left knee for 25 years now and my knee was slipping out of joint at work. I do maintenance so I am walking, bending, kneeling and lifting all day long. This brace does not slip down like the Playmaker brace did. I got the shorter version so I can wear 10" work boots. 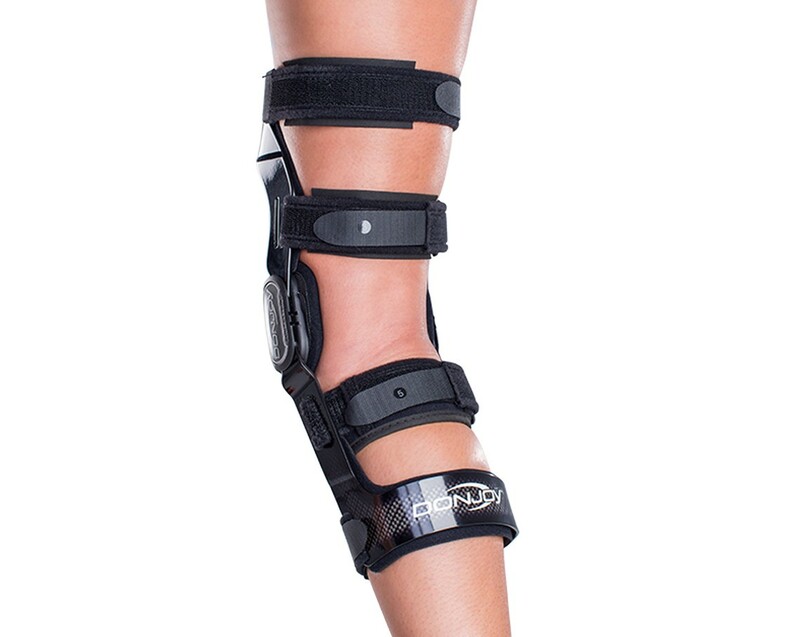 If you are looking for a brace to wear to work that wont slip, I recommend the Full Force. 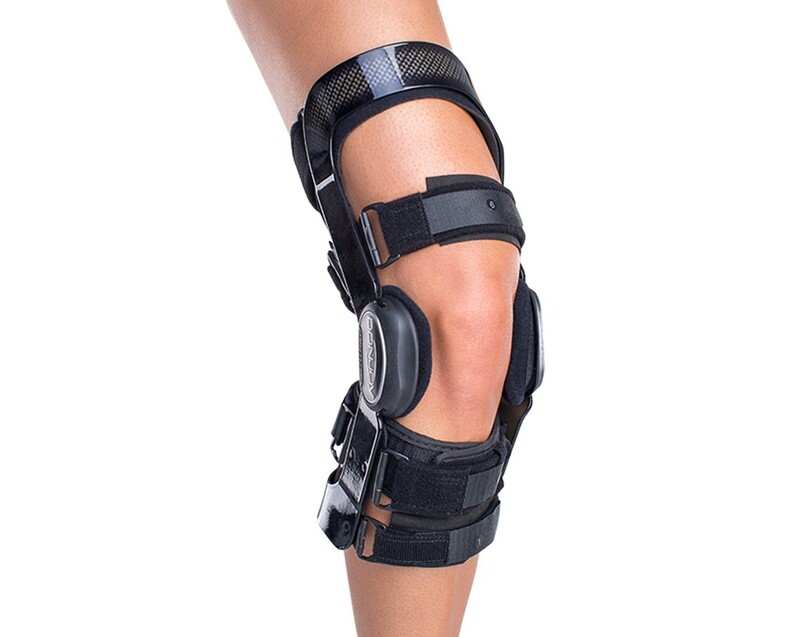 The brace is extremely comfortable and light weight. Its pricey but you get what you pay for. I play football and baseball in high school. My freshman year I hurt my knee in a football game. I had a stage two tear of my acl and meniscus. Although I didn't have to have surgery my knee continually gave me problems. If I made any type of cutting or pivoting motion my knee would buckle and I would be out for two weeks. I have tried multiple braces and sleeves and this is the only one that was durable enough to keep my knee in place with no problems. It isn't bulky at all, it's super light, and it is built to last! I can't think of anything that could take my knee down while I have this brace on. My only criticism is that the sizing is a little tricky. I would recommend getting the neoprene undersleeve to help keep it from slipping. This brace has allowed me to continue playing sports in high school and it will stay with me as long as I am still active. Thank you DonJoy! Two of my daughters tore their ACLs within 6 months of each other, and both have this brace. They are able to still play volleyball, and will wear the brace for a year. It is light, but still protective. The sleeve helps when diving, to prevent pinching their skin at the top of the thigh. This will help insure that we do not have to have repair number three!